Visiting Grand Marais in the summer is an annual event for me and family. 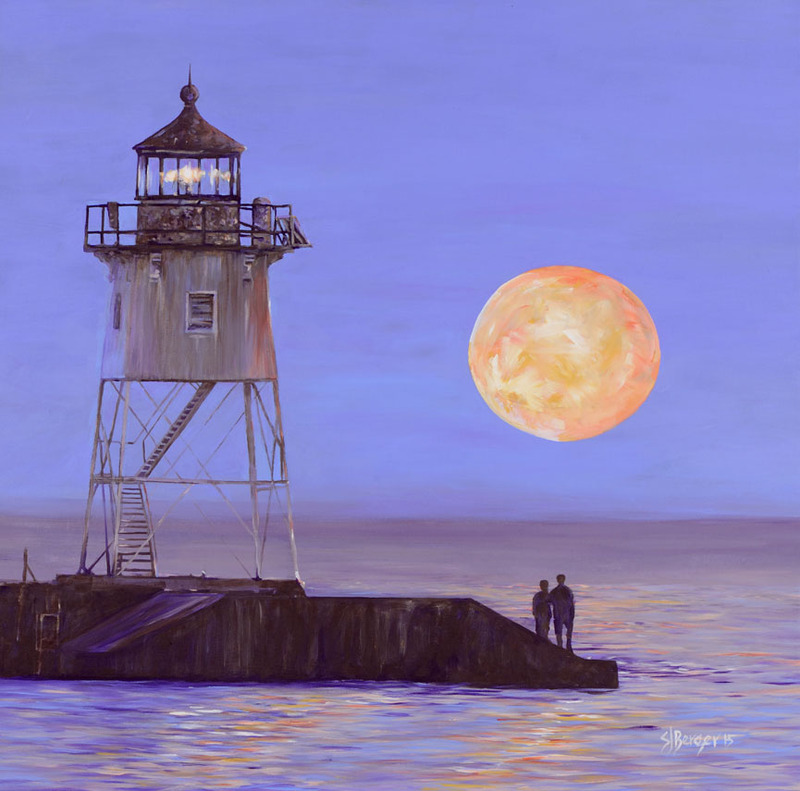 This lighthouse sits on lake Superior at Grand Marais and offers wonderful views of the lake and downtown Grand Marais. On a warm summer evening there is nothing like watching a full moon over the lake listening to the water hit the rocks under God's light. Signed prints of this are now available at the link shown here http://bergerfinearts.com/products-page/gunflint-series-art-prints/ Just scroll to the bottom of the page. When the leaves begin to change and fall everyone knows it's time for Friday night lights and high school football. 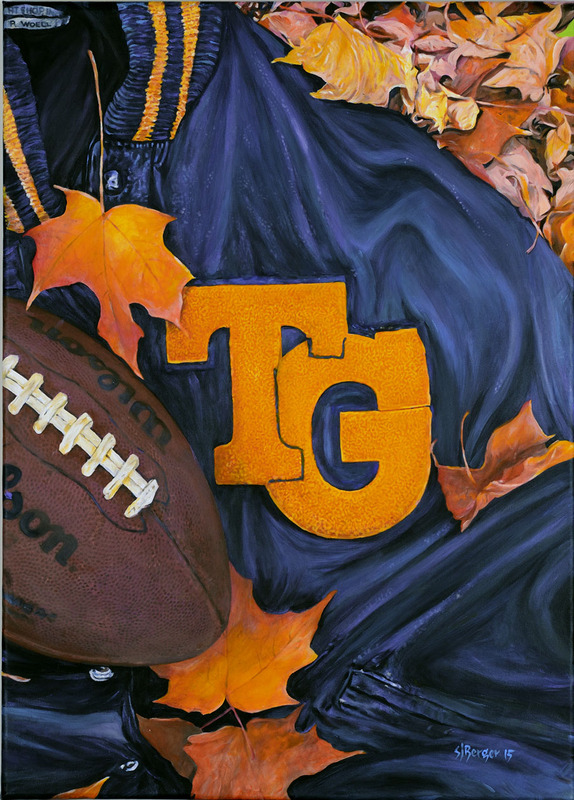 If you are a fan of Totino Grace football this original painting was donated and auctioned off at TG's annual winter auction. The event was a lot of fun for all attendees and this paintings proceeds went to the Lassalian fund to help needy students with tuition needs. If you are a fan of Totino's football program there are some subtle items included in this painting that are all TG. The fondest memories most people have are not always about the “big event” but the normal everyday experiences that lead up to it. As an artist my intent is to visually capture a memory and convey it. A walk, a place, a person a workplace, a gift, a meal, all little things but they are part of every ones personal life mosaic. Each piece I produce incorporates a unique story behind its creation and each story is connected to other stories waiting to be shared and painted. That is why a lot of my work involves a series of pieces that are connected. As they are produced they unfold to tell a bigger story. These stories are the very essence of what I paint and they continue to drive me to want to paint art that connects emotionally. To have an impact the piece should evoke a memory, an emotion something to be lived over every time you view the art. If my work can do this than I know it is a success and a meaningful piece.